The Dragon Ball Wikia doesnt list any transformation for Fu, but this more than a power-up looks like a transformation. 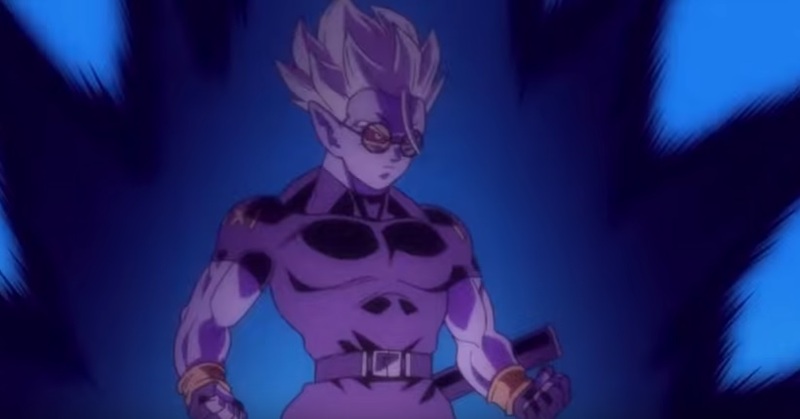 The black aura alone could be a powerup, but his eyes turn red and his hair gets spiky similar to a super saiyan. Does any manga or videogame show Fu have a transformation or it's just a powerup? It's not only a semantic issue because a transformation allows the user to boost his power beyond the limits of his base form. I dont think there is anything official about this, but I think it's worth mentioning just in case, there are many fans already calling this "super Fu" or "super saiyan devil".